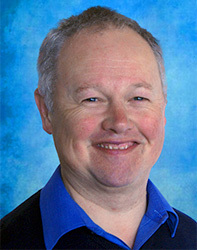 Simon has been our pastor since September 2006 having moved from Long Whatton in Leicestershire with his family. Before coming into ministry he worked as a Practice Manager for a local Doctors surgery for 5 years and as a Branch Manager for 13 years with W H Smiths. As well as leading the church he is the Chaplain to Exeter Chiefs Rugby Club and as a Chaplain he is a member of Sports Chaplaincy UK. Following a long career as a Librarian and Senior Manager in Devon’s Public Libraries and School Library Service, Geraint is now bringing his experience to being our Church Treasurer. He works with a small team and is responsible for ensuring that the church’s finances are stewarded well on behalf of the fellowship including accounts, banking, investments and assistance with fundraising. He and his wife Katie have been members at Brixington since they arrived with their young family in 1991, and both are in the church worship group, where he keeps time on the drums as well as keeping the finances in order. 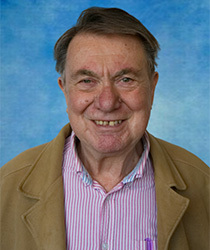 John and his wife Glenis retired from teaching and moved to Exmouth in 2008. John and Glenis head up the prayer life of the Church. Glenis is responsible for the Prayer Ministry Team. 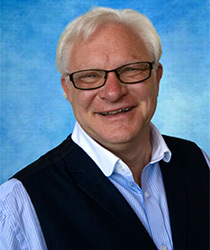 John brings over twenty years’ experience as part of the leadership team of a large fellowship in Norfolk, as well as being part of a Church plant in his home town. He was also employed as a Christian counsellor in the High School in which he worked. Tricia became a Christian in her teens and was confirmed at her local church – Christ Church in Coventry by the Bishop of Coventry. At this church she was involved in the Campaigners which is a uniformed inter- denominational Christian youth organisation, where all leaders are Chrisitans. Following a career in the WRNS – initially as a driver, she progressed through the ranks to finish her career in administration, undertaking a wide variety of senior management roles. 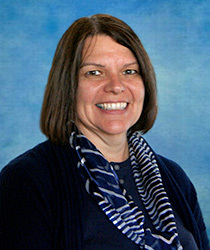 Tricia started attending Brixington Community Church in 2008 and began assisting on the administration team in 2012. She was accepted into church membership in 2013 and became Church Administrator in 2014. Alwyn moved to Exmouth in 2012, having studied and worked in Birmingham for many years where she had a career in personnel management, working in a variety of roles. Living by the coast is a welcome change from city life. She has always been involved in a local church, and became a Christian in her teens. Alwyn is the Deacon responsible for employment and policies and helps to lead one of the Growth Groups. 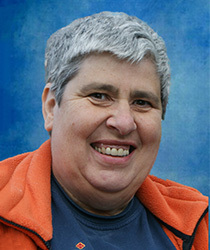 Jill is a retired teacher of Physical Education. During her 40 year career she worked with both able and disabled young people helping them to lead challenging and accomplished lives to the best of their abilities. Safeguarding training formed part of her professional life. She has two sons and two grandchildren and has been a member of Brixington Community Church since 1995. Jill has been involed with pastoral care throughout her membership, both leading and working within teams. Her interests are various; Christian dance fellowhip of GB, reader for the Exmouth TN for blind listeners, gardening, hill walking, Pilates and snow skiing. 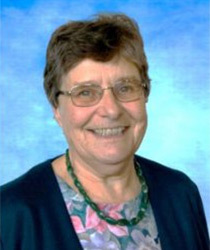 Bridget was brought up in Lancashire and went to Liverpool University, where she became a Christian, having been a nominal church attender all her life. 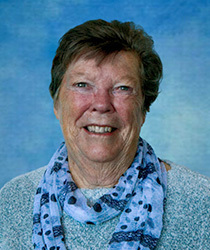 She met John her husband and enjoyed more than fifty years of a life loving and caring for people as a mother of four, foster mother to many, Pastors wife, School Teacher and home maker in the Midlands and outer London and moved to Devon in 2012. Following John’s death she has become a Deacon with the responsiblity of Catering and Housekeeping. Bridget also leads a midweek group (Growth Group) and is committed to the life of the church and its growth. Eileen was brought up in Leicestershire and became a Christian there after attending the local church from the age of 3. When she left school she worked in a bank, she then met Clive her husband and together with their two children moved to Derbyshire and were the proprietors of both a greengrocer and florist shop. She then began teaching BTEC ND in Floristry at Derby College, before working with City and Guilds as an external verifier. She served as a Deacon at their local church. 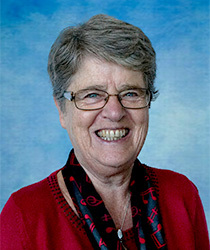 They moved to Devon in 1999 and she served as Church Secretary for 10 years. After Clive’s death in 2015 she became a deacon with the responsibility of overseeing the building development. 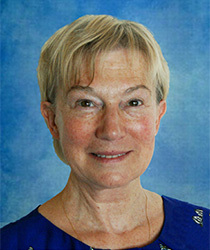 Her main interest is golf and is a member of the local club, she is also a grandmother and great-grandmother. Eric was born in South London. He worked in engineering and then moved in to the banking sector. Eric took early retirement in 1990 and transferred to the Department of Transport assisting Civil Engineers in building and maintaining motorways. He retired to Devon in 2013 where he became a member of the church. He has served as a Deacon since 2015 with the responsibility of fabric and maintenance of the building and grounds. Eric is also the branch secretary for East Devon Gideons UK. Kay works for Brix Family Support which is part of Brixington Coimmunity Church. 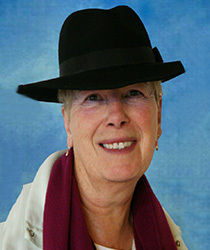 She has over twenty years of experience of working in family support in East Devon and Exeter. Kay has lived in Exmouth all here life so has a good working local knowledge and knows a lot of people in this area. She has managed and run the Holy Trinity 0-5 Group for over 23 years. Being a mother herself she has experience of her own children as well as being a qualified under seven Practitioner, Nanny and she holds qualifications in Childhood Studies. Kay has set and run the Brix Fanily Support which provides floating support in client’s homes. She has also set up and established a Parent Pop In group on a Thursday with a brilliant team. Additionally she is invloved in running a Parentalk course (Care for the Family), Messy Church, Family Fund days/picnic along with other regular events. 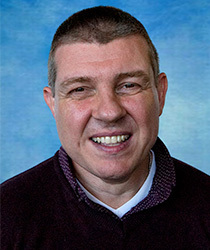 Tim was raised in Stoke-on -Trent and became a Christian at the age of 9. He moved to Devon 20 years ago and attended a church in Exeter before moving to Brixington Community Church in 2015. 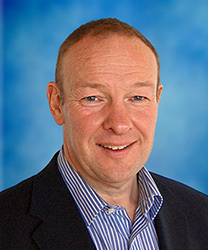 He has worked in the Ceramic tile industry for 30 years and has held a range of management roles since the age of 24. He has worked for and represented various companies on a number of techinal and environmental committees both domestically and across Europe. Tim ran a Friday night church youth group for a number of years in the Midlands. Amongst his duties as a Deacon, he helps to advertise various events for the church. Claire has worked for the church since September 2017 and in conjuction with her responisbilities in the church she has completed a one year course with Moorlands Bible College, ‘Engaging with Applied Theology, specialising with Children and Families Pathway’. Claire gained experience in co-ordinating extracurricular activities and providing learning support for children with additional needs whilst working for Exeter Catherdral School, The West of England School and Prospects. Claire and her husband have two young children. They love helping young people to discover more about their Christian faith.